This Sign Supply Holds 24" Posters! Wholesale Sign Supply Manufacturer Sells Cheap Sign Making Equipment! Sign Industry Megastore! 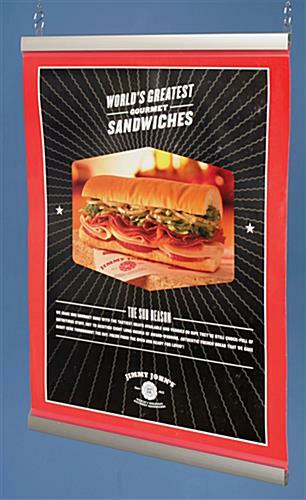 Stylish aluminum displays even heavy banners in style. 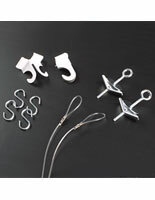 Use provided sliding plastic eyelets to hang wherever you need. Snap open rails make changes easy. This sign supply features an easy to use snap-open design. The top rail is made with two (2) plastic adjustable eyelets that make them easy to hang, as well. 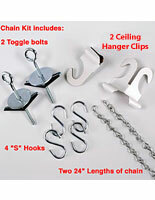 Catch the attention of everyone with these easy to use sign supplies for sale at cheap, wholesale prices! 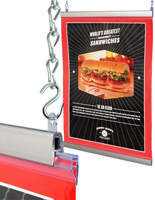 This poster hanger, snap open sign supply, is the ideal way to display any business sign. These sign supplies are designed to hold banners. The quick-change sign supply is ideal for every business that routinely changes messages. 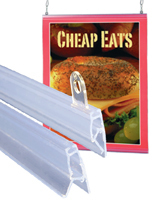 These affordable sign supplies on sale in bulk or by the piece are made with snap open rails. The snap open sign supply, also called a banner holder, is made of durable aluminum and easily supports heavier banners. Hanging sign holders, banner holders, and snap open sign supplies mount to the ceiling using the provided chain and nylon hanging kits. 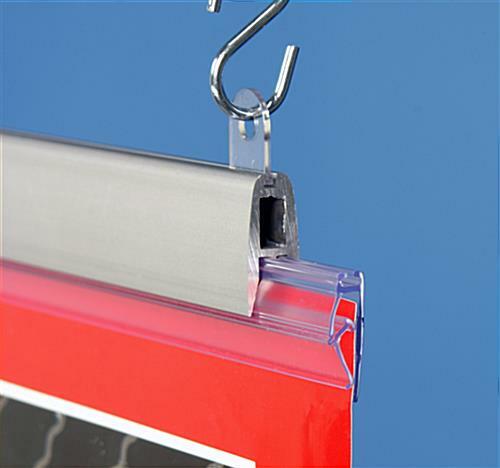 The snap open sign supplies feature a bottom rail that keeps the banner tightly displayed. 24.0" x 1.8" x 0.5"